Express Jewellery Repair is Edmonton’s fastest and best jewelry repair workshops. All of our services are provided by local goldsmiths. Nothing leaves Edmonton. Most jewellery repairs are done in just a few days. In a rush? We offer same day Express Jewelry Repair Service as well. We have been in business over 30 years and have over 100 years shop experience in our goldsmiths. Our goldsmiths can handle the toughest repair jobs. We offer free estimates and give the best advice on your jewelry repair situation. Its Repaired By Us. All of our repairs are done by our local staff. Your jewelry doesn’t leave Edmonton. We have the largest inventory of gems and diamonds in our own inventory. We can replace any stone fast. We are affiliated with Beck Gemological Laboratory so we have Canada’s top gemologist at our disposal for advice and stone matching. We have 4 full time goldsmiths and setters who are specialists in different types of repairs. No matter how difficult your job, we can usually find a solution. Our prices are usually lower than our competitors. You get your gems and diamonds at wholesale prices. We are one of the top managed companies in Canada and keep our costs down. We are affiliated with Beck Gold & Silver Brokers and Beck Diamonds so you get preferred prices on replacement stones. We do jewelry repairs right and don’t cut corners. I hope this gives you insight on why we are so special and one of Edmonton’s best kept secrets. Our impeccable A+ reputation with the Better Business Bureau, Yelp, Google and many other rating services can put your mind at ease. 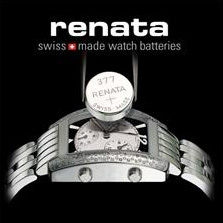 Watch and clock repairs can take 3-4 weeks. We fix the piece then we watch it for a week to make sure it is working properly. We service all makes and models. Free estimates. Come and meet the goldsmith Richard at our repair shop at our South-side shop. 7315 50th St. Richard would love to meet you and discuss your repair needs. Richard is available for consultation Monday’s Wednesdays and Fridays. Please book an appointment if you would like to meet and discuss your repairs or custom orders.